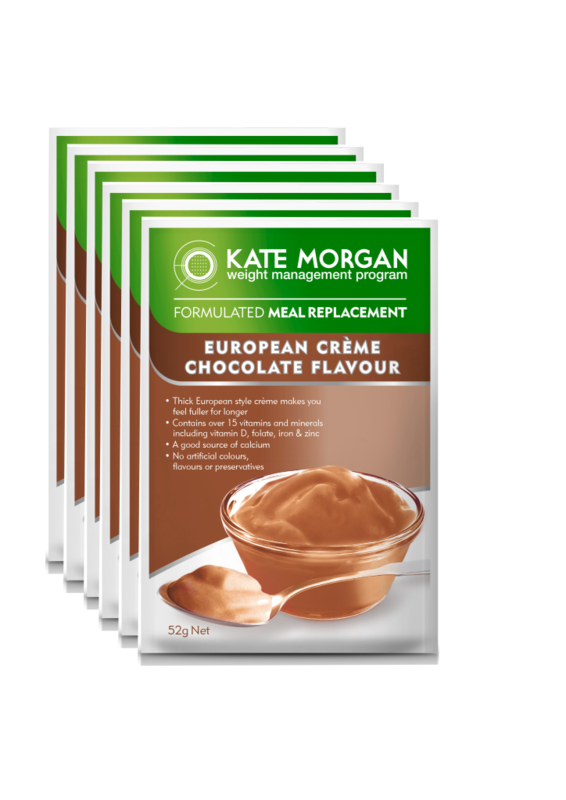 The Kate Morgan 7 Day Chocolate European Creme pack contains 14 x 52 g Chocolate European Meal Replacement cremes Kate Morgan Meal Replacement Creme sachets are heavily fortified with all of the vitamins and minerals that your body needs to stay healthy while you lose weight. They are part of a nutritionally balanced weight loss program and taste great, keeping you fuller for longer. Contents of one sachet replaces one meal. Add one sachet to 200 mL of cold water and mix vigorously with a whisk or fork until smooth. Add more or less water to suit your taste.